Duplicate contacts accumulate on your device over time in large numbers. These identical contacts increase your contact search time and occupy lots of storage space. You can find and delete these similar and identical contacts manually where you need to sift through all the contacts on your device to find and further delete them. 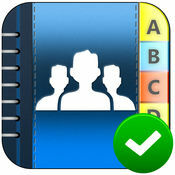 This is one of best duplicate contact remover apps which help you manage and organize your address book effortlessly. This state-of-the-art tool works on advanced techniques and smart algorithms to find, merge and delete all duplicate contacts on your device. It simply eliminates the need to scroll down all your contact’s list to find and remove duplicate contacts. Using this tool, you can merge or delete contacts, share contacts, create contact groups, remove zombie contacts. It also allows you to take backup of your important contacts online before editing. Further, it allows you to batch delete, merge or share contacts for easy contacts management and to save time. It is a simple yet effective tool to help you manage and optimize your address book. 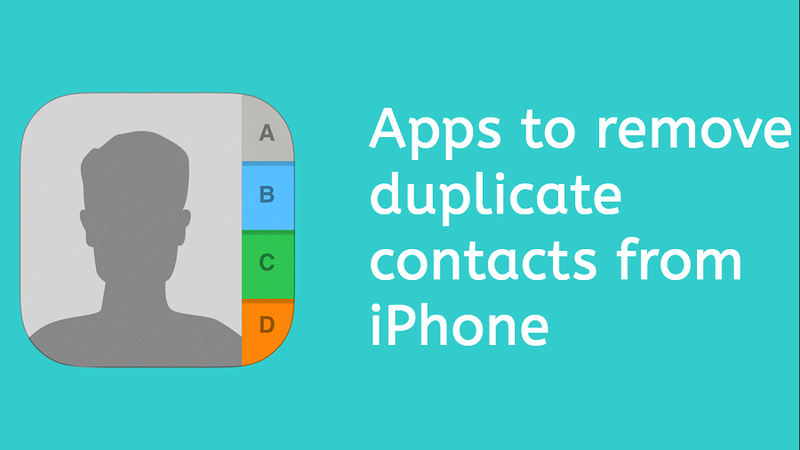 Cleanup Duplicate Contacts is efficient contact management solution which helps you clean and organizes your contact’s list both on iPhone & iPad. Using this tool, you can configure the merge level of contacts where you can merge contacts with 100% match or partial matching. It scans and finds all duplicate contacts automatically and displays preview before you delete them. This is useful to manage and organize useful contacts. It merges all partial contacts details under one contact for better management. It works efficiently with other sources as well like Gmail and iCloud. Using this tool, you can centralize up to 5000 contacts in just 45 seconds. It also creates backup of your address book before cleaning. It allows you to restore backup whenever you want. This tool works efficiently to remove contacts with or without name or phone numbers. It offers one tap option to backup your contacts where you can simply export all your contacts to Dropbox, Google Drive or Email. Using this tool, you can simply merge or delete duplicate contacts where you can merge contacts with similar names, phone numbers or emails. It allows you to move or exchange contacts between different accounts like an iCloud and local address book. App offers smart filters where you can search duplicate contacts by company name, job title, upcoming birthdays and creation date. It supports various languages to help users around the world.It even offers unlimited backup for your address book. This multi-platform tool helps you manage and sync your contacts across various platforms including iOS, Mac, PC and other mobile devices along with Exchange, Gmail, Office365, local address book, Twitter and other accounts. This useful tool helps you consolidate your contacts from across the web. It allows you to sync all changes in your contacts in real time. Additionally, it helps you backup and restores your contacts seamlessly. Using this tool, you can use tags to sort your contacts effortlessly to find correct contacts. It allows you to merge, manage contacts and add notes to your contacts to remember important details. Further, it automatically adds social profiles, photos, company profile and latest social media posts to your contacts to help you know your contact well. This app works seamlessly when your contacts are synced with iCLoud. 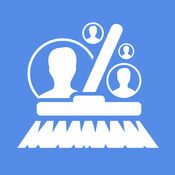 It helps you eliminate all duplicate contacts and find missing contacts to clean and manage your address book. 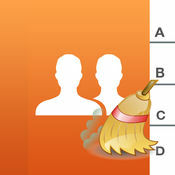 It helps you merge and clean contacts for organized contacts list. You can use this tool to merge all incomplete & partial contacts into single entry. 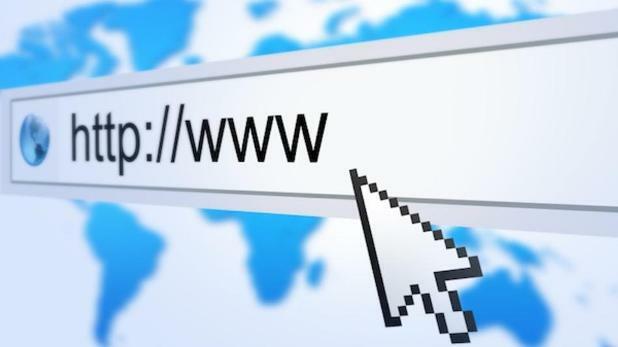 It finds all similar names, phone numbers and email address to combine them into one single entry. You can even search and replace old entries into fresh new contact. It allows you to take backup of contacts on email and delete batches of similar contacts with just a few taps. Duplicate contact remover apps work efficiently to clean and manage your address book seamlessly. These tools help you reduce contacts search time for improved performance. Further, these tools help you recover precious storage space. These tools are highly recommended for organized contacts list on your iPhone. 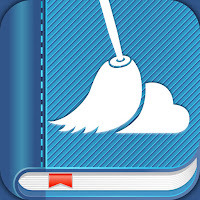 Summary: Duplicate contact remover apps are a useful tool to help you clean and organize your address book efficiently. Let’s discuss some of these tools in this article to clean and manage your address book on iPhone.